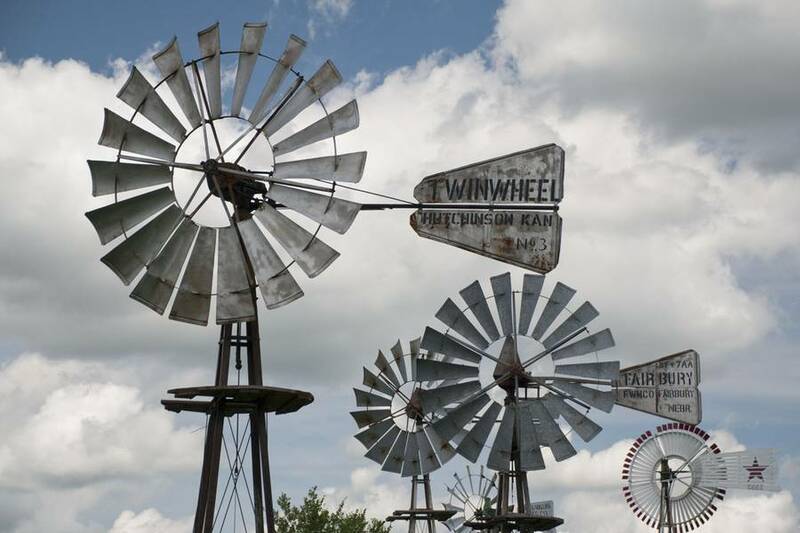 Mid-America Windmill Museum in Kendallville, Indiana opened in 1992 by hosting the International Windmillers Trade Fair. My brother had seen mention of it in his local paper and suggested we go to the event. 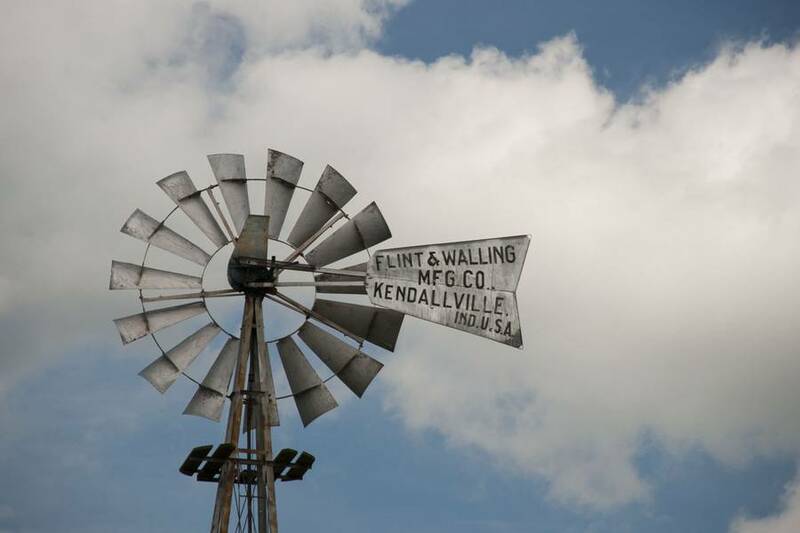 Kendallville is northwest of Fort Wayne and Fort Wayne is about one and one-half hours from where I was raised in Alexandria, Indiana. We made the trip a family outing while I was back visiting. 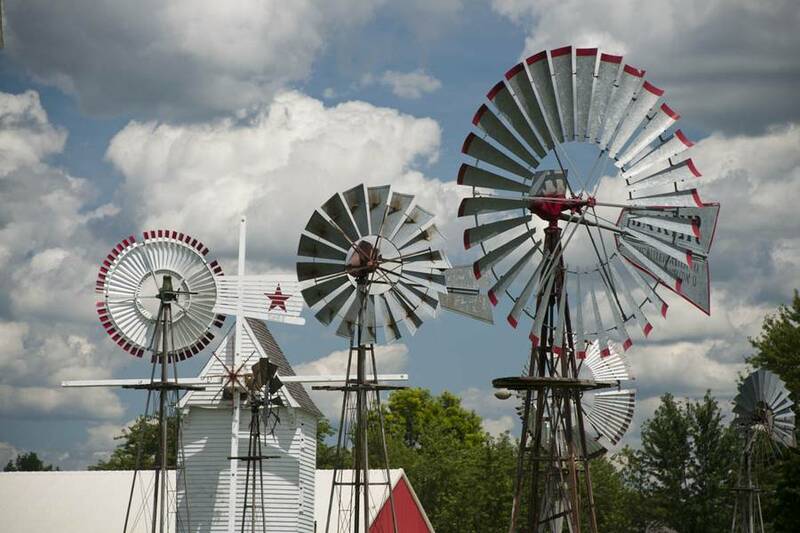 The International Windmillers Trade Fair is all about the traditional American water-pumping windmill. 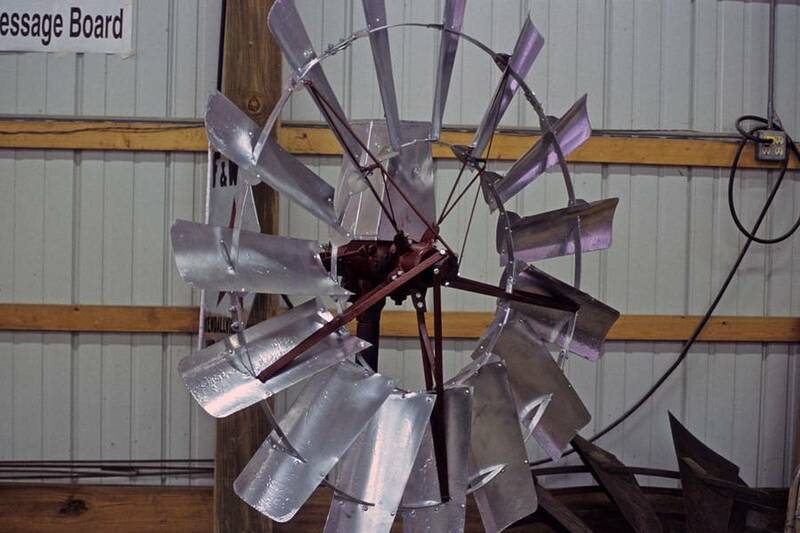 It was quite a show with Amish millwrights pouring molten metal into molds to make Babbit bearings that support the rotor on some early models. 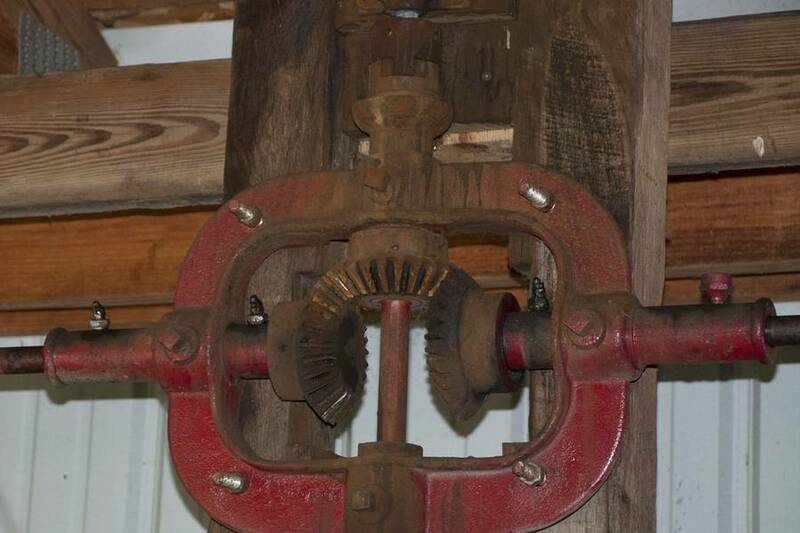 It was only later that designs were adapted to use ball or roller bearings. 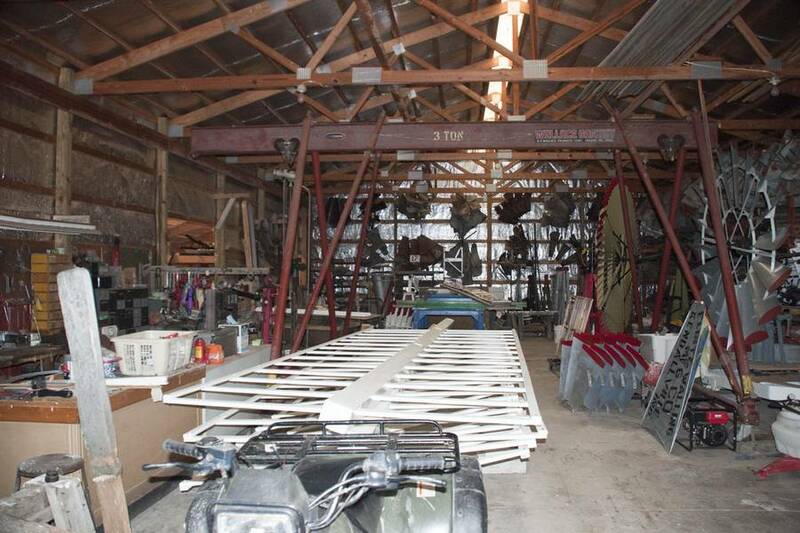 There was a lot of "heavy metal" lying about and of course lots of stamped sheet steel for the "windwheels". It was fun for both of us and I used some photos from the event in my 1995 book. 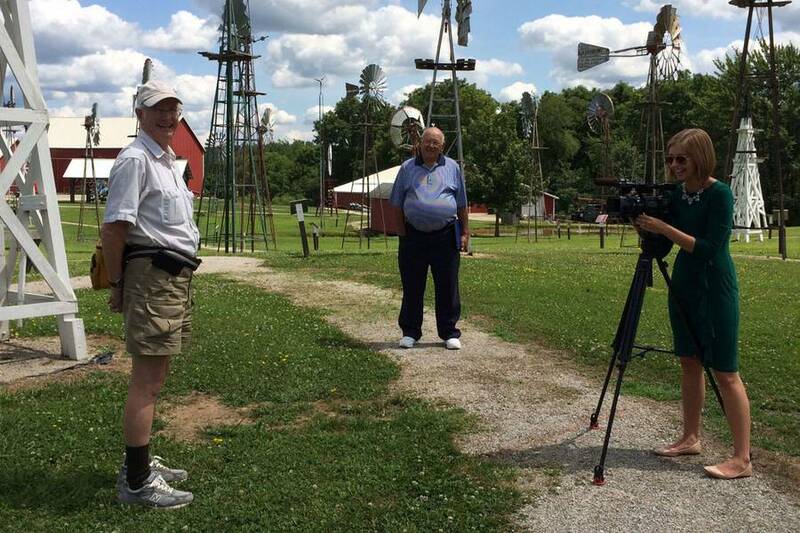 Visiting Indiana in the summer of 2015, I drove up to Fort Wayne to see my friends John & Cindy Ewing and suggested we check out the museum. 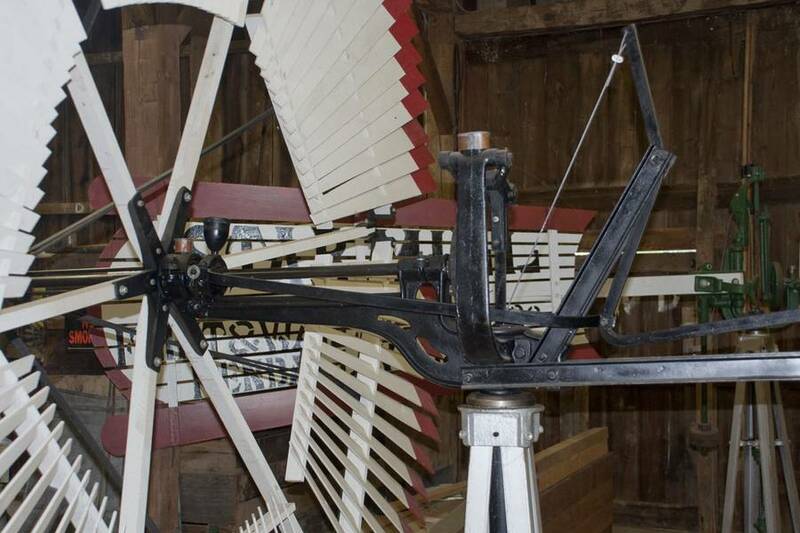 The museum has greatly expanded their collections since the early 1990s and now have 52 displays, including a full-scale replica of an English post mill. 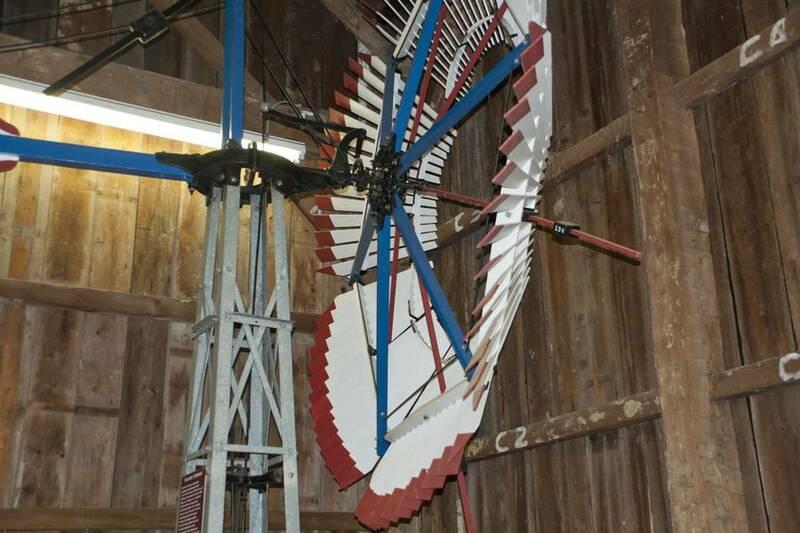 The museum building houses a small gift shop, theater, and inside displays of classic water pumpers, including a Halliday--the first self-regulating windmill. 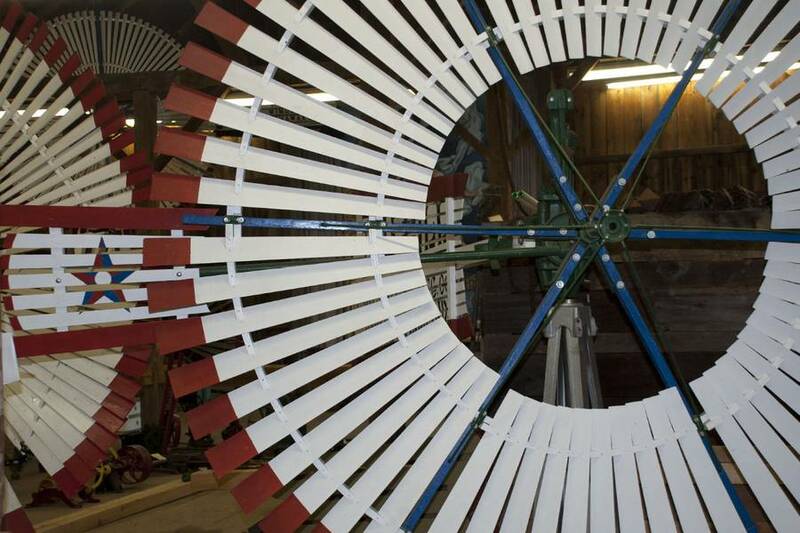 Halliday's 1854 design featured a sectional windwheel that would open in high winds to let the wind pass through unimpeded. 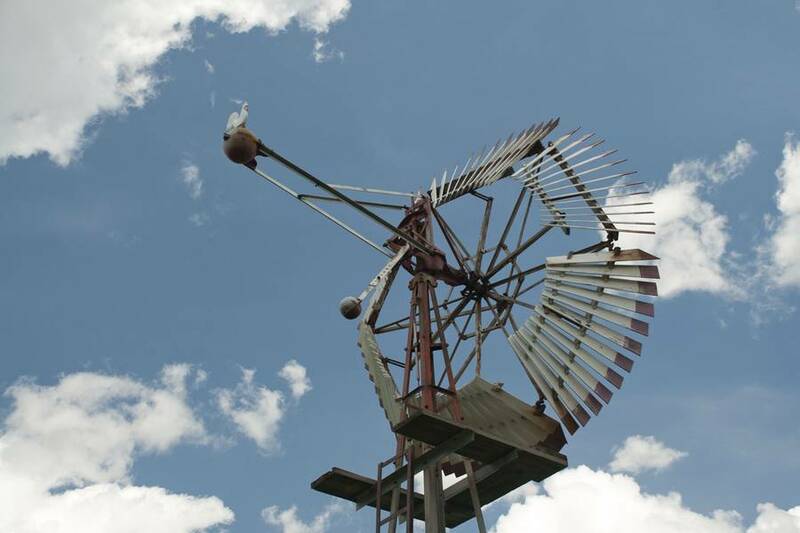 While the Halliday was an upwind design that used a tail vane, the museum also has a good example of a downwind model designed by Reverend Wheeler. 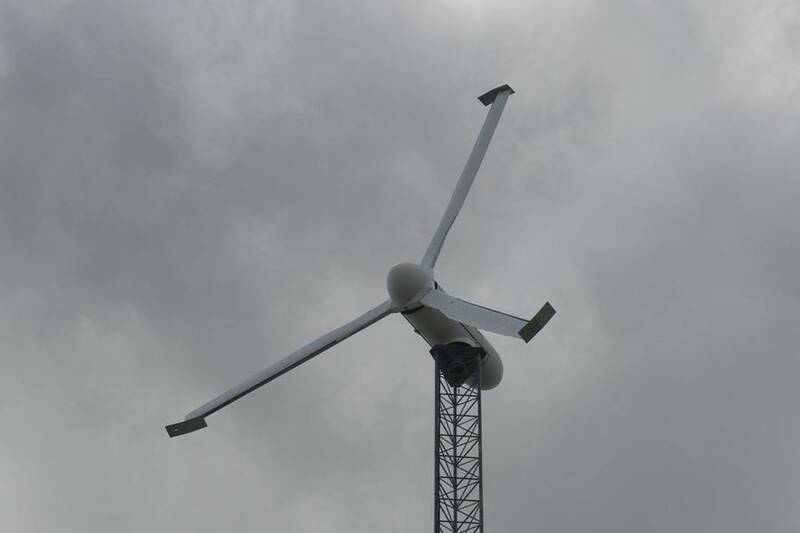 In this farm windmill there's no tail vane, the rotor operates downwind of the tower with a large counterweight pointing upwind. 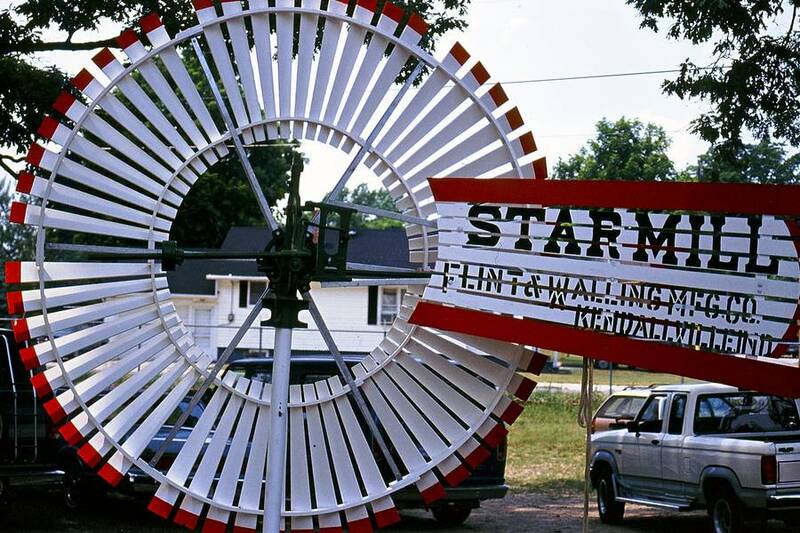 The museum was originally intended to highlight local manufacturing prowess by displaying various models built by the Flint & Walling Co. Flint & Walling manufactured the distinctive Star brand windmill that is featured in this and other museums of the American farm windmill. 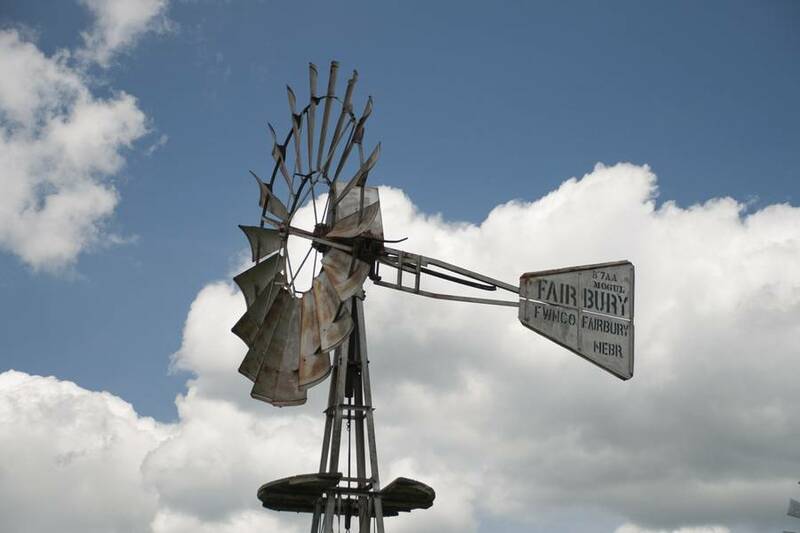 The collection contains eleven Flint & Walling models, including the last model that was sold up to 1954. However, the collection now includes models from several different manufacturers. 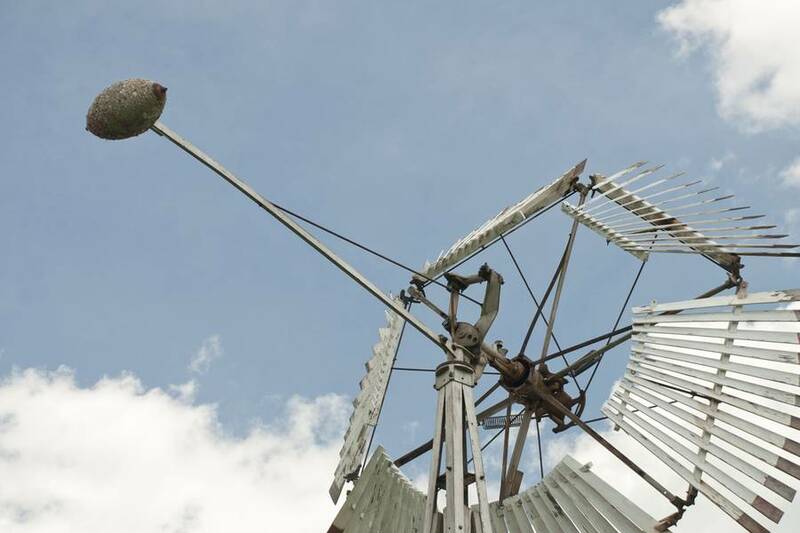 It's impressive what the museum's volunteers have accomplished in the past two decades. 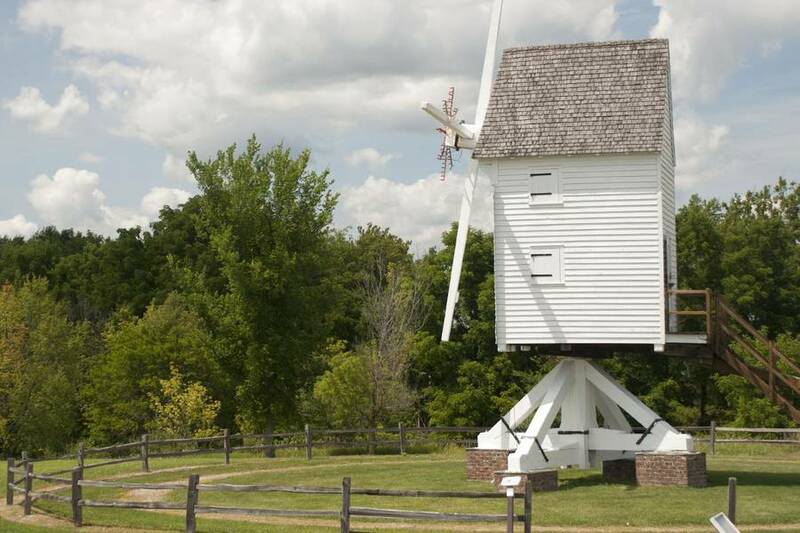 The reconstruction of an English post mill in North America is no small feat. 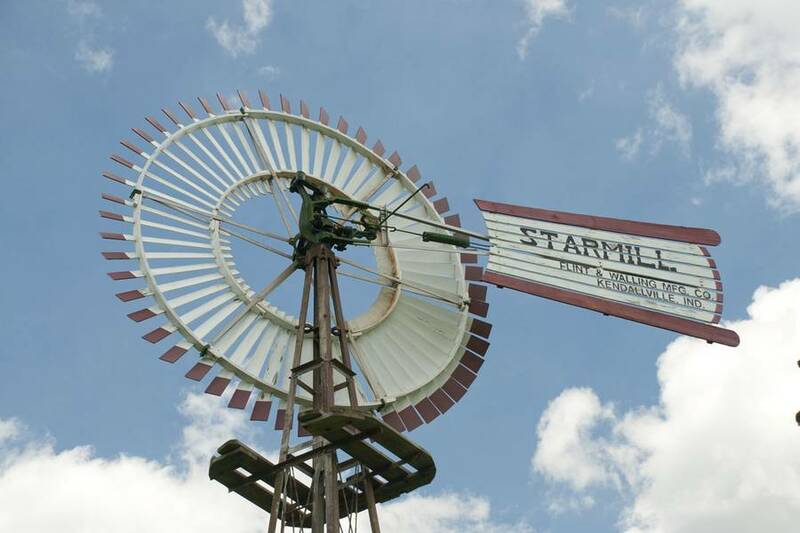 If you're interested in post mills, you can save yourself a trip to Great Britain and visit Kendallville instead. 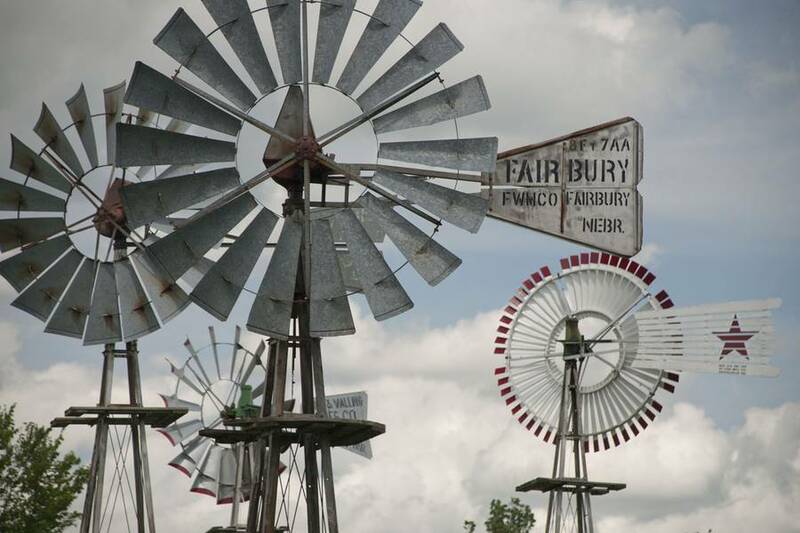 More information on farm windmills, their role and their history, can be found in my books.